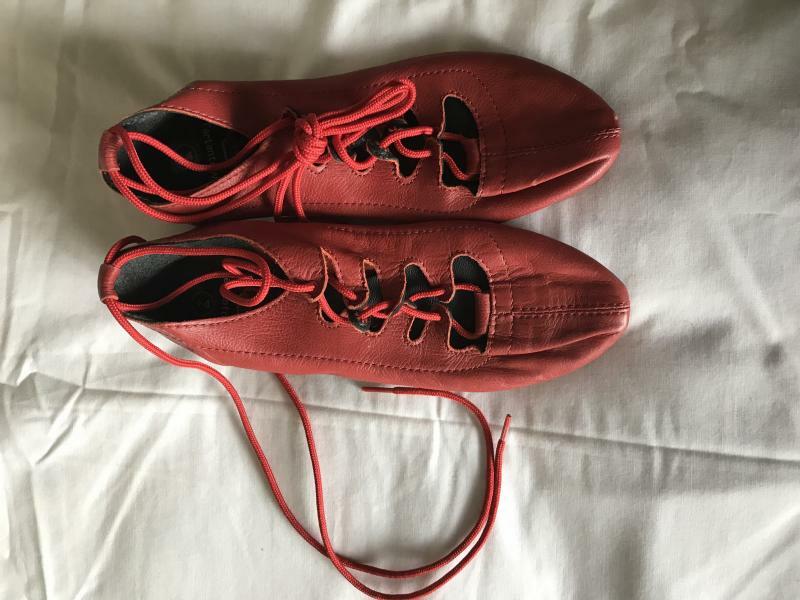 dance.net - Red jig shoes, size 4 (10249511) - Read article: Ballet, Jazz, Modern, Hip Hop, Tap, Irish, Disco, Twirling, Cheer: Photos, Chat, Games, Jobs, Events! 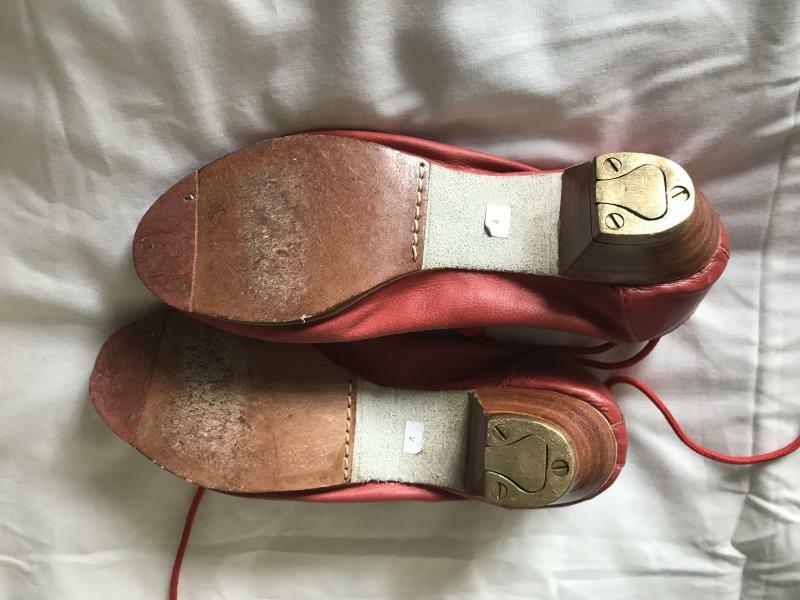 Very lightly used red jig shoes, in great condition. Purchased from Tartantown, size 4. Approximately 8.34 inches long. New laces. Apologies for not responding sooner! I haven't used dance.net in years and thought I had it set to send me an email notification when someone responded to my posts. Clearly I did not! I am so sorry for the delay. Yes, I still have the shoes. I would be happy to get a postage figure for you today if you're still interested.